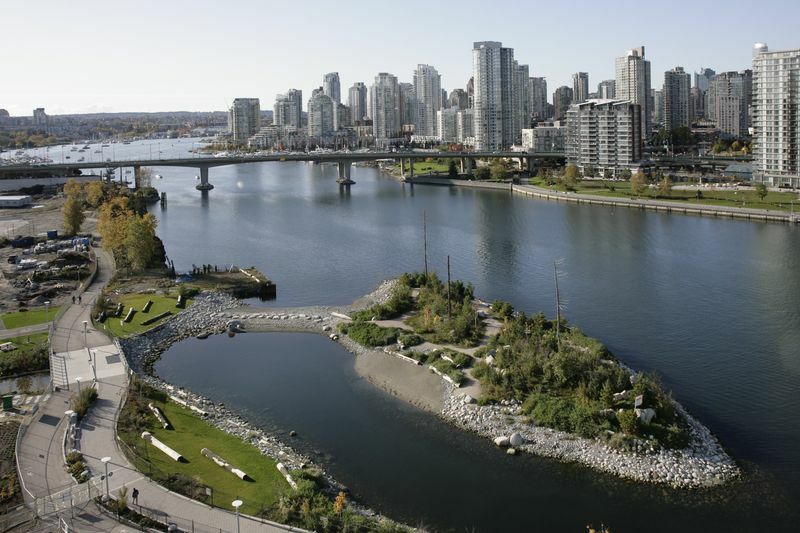 Habitat Island is an urban sanctuary along Southeast False Creek. Deep layers of soil have been added to the area to provide nourishment for new trees to grow. Boulders and logs commonly found along the coastlines in this region of British Columbia provide a home for plants, small animals, insects, crabs, starfish, barnacles and other creatures. Surrounded by water at high tide, the island is also a sanctuary for birds. More than 200 native trees, as well as shrubs, flowers, and grasses that grow naturally in this region have been planted along the waterfront path and on the island. When visiting the island, remember that is an urban oasis that we would like to keep in its natural state. Please do not cycle, litter or bring your dog onto the island. 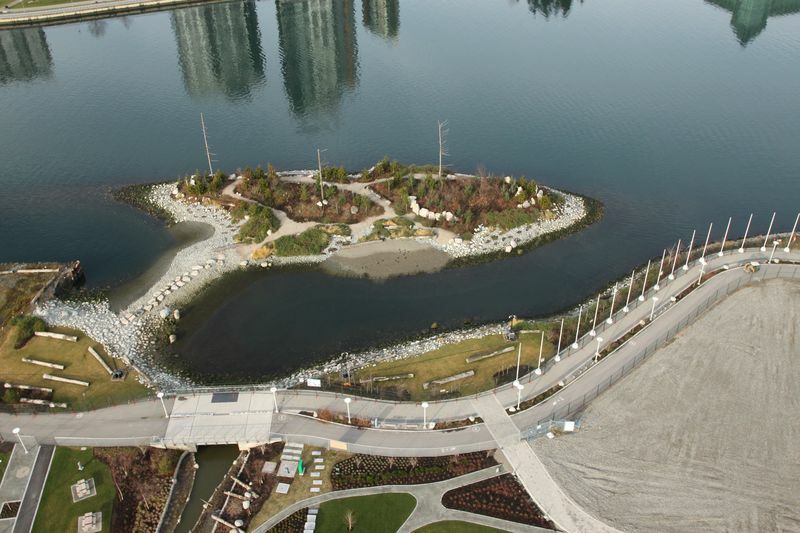 The island was created as part of the development at Southeast False Creek, site of the 2010 Winter Games Athletes Village. To build Habitat Island, shoreline and inlet, about 60,000 cubic metres of rock, cobble, gravel, sand and boulders were used. The ebb and flow of the tide on the rocky shoreline creates an ideal home for starfish, crabs, fish, shellfish and other creatures.